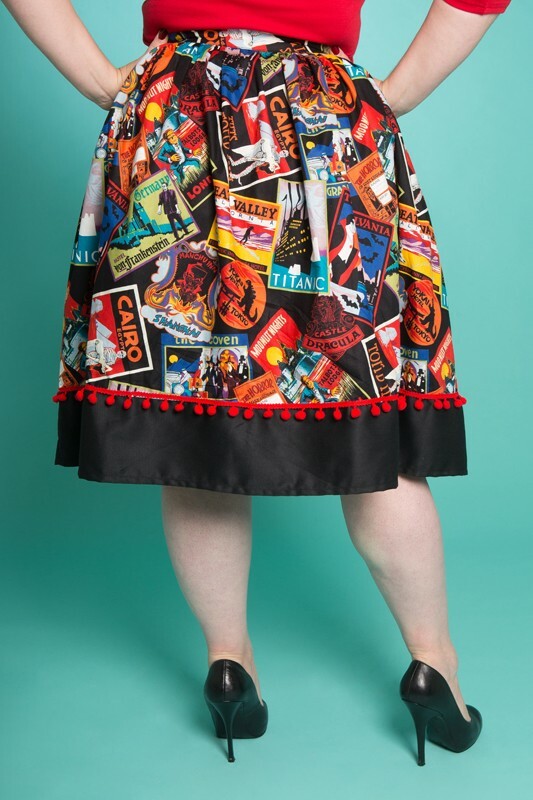 The Fiesta Skirt "V2" is our updated version of our original Fiesta skirt! 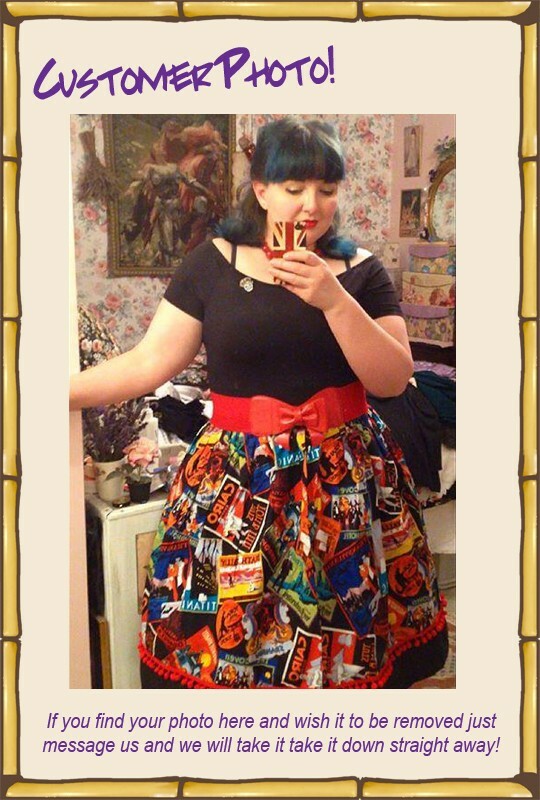 The new skirt is high waisted and and gathered rather than A-line. 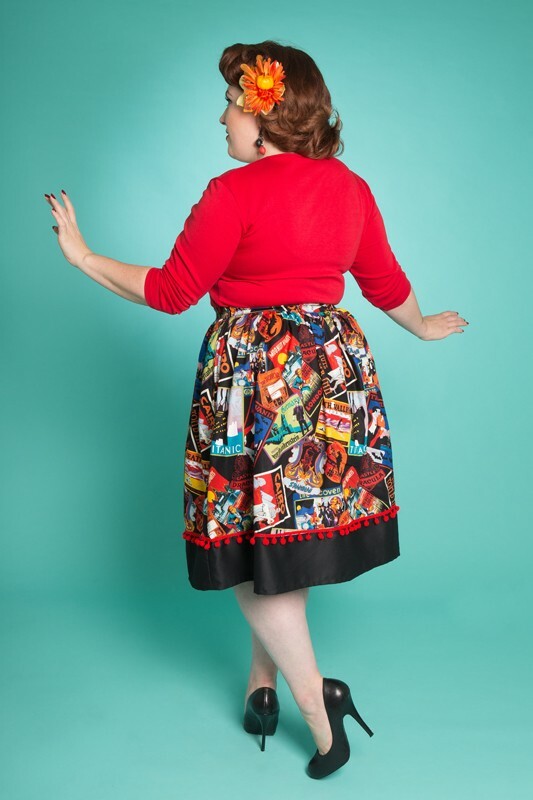 We love the way this new skirts fits and hangs! 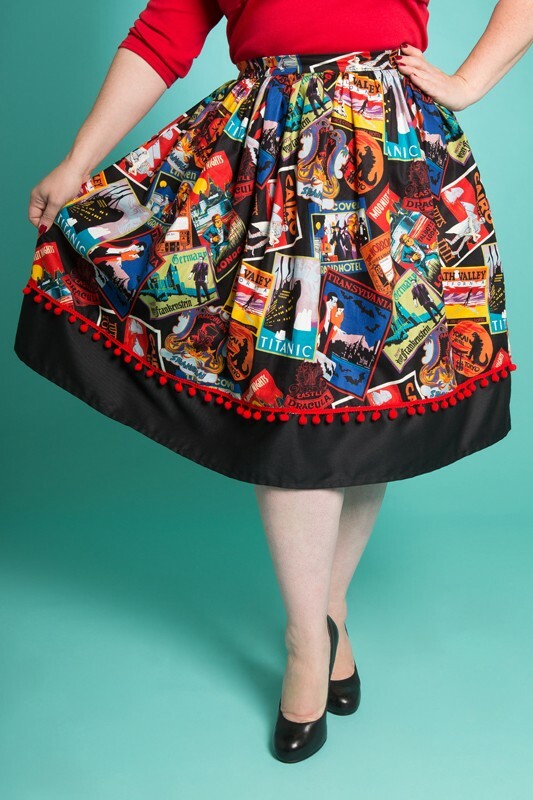 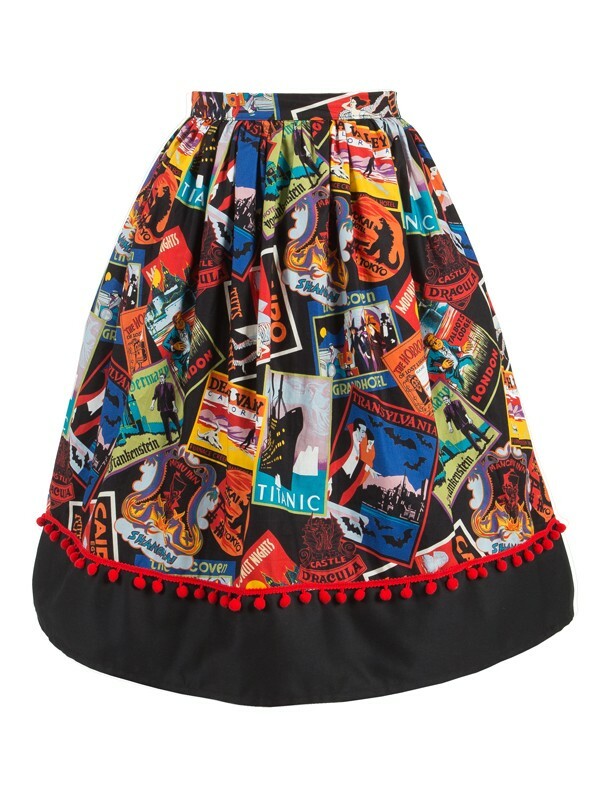 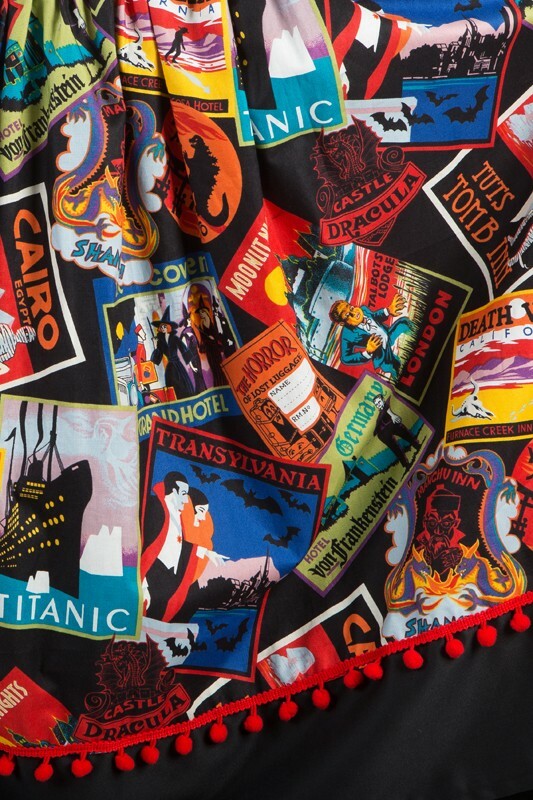 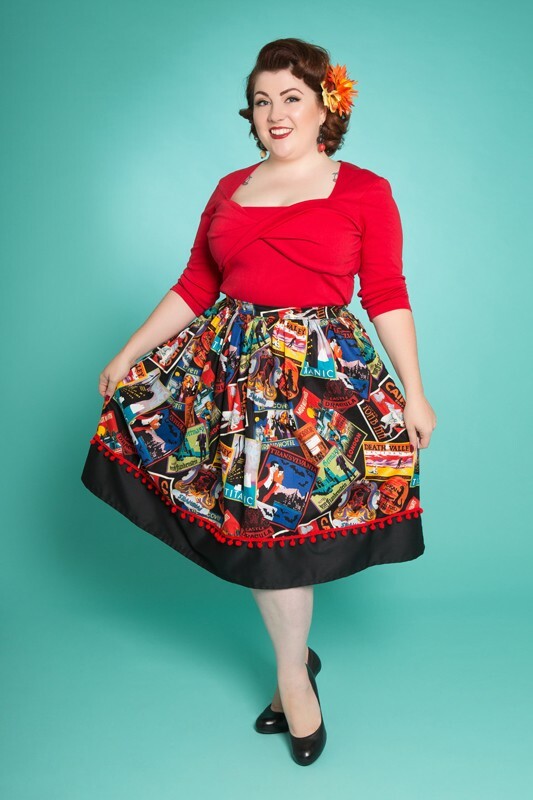 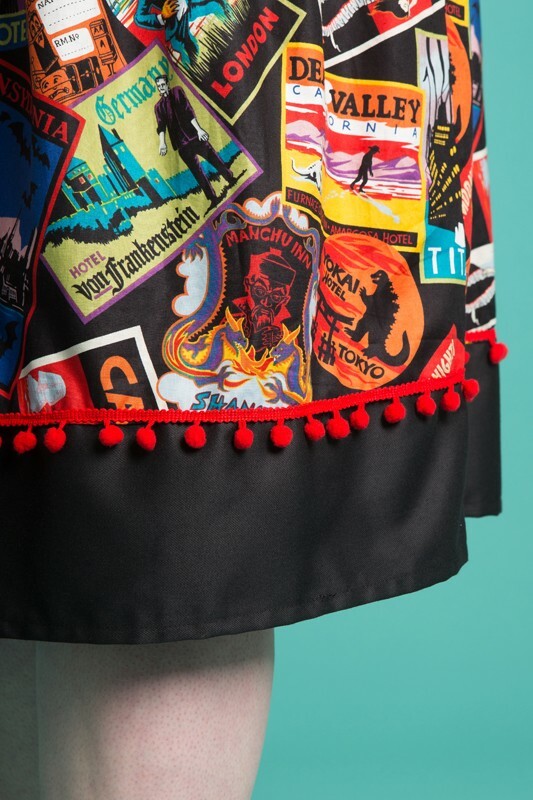 The Postcards from Ghoultown skirt is made from non stretch cotton printed with kitch images of films, mummies, warewolfs & Dracula, oh my! The skirt is finised with red pom pom trim.